Have you ever started a weekend project only to have it turn into a three-month project? When taking on home improvement projects, it always seems like it’s going to be easy in the beginning. All you have to is gather the materials and tools, read some instruction if necessary, and put in a little work. Right? The truth is that when it comes to home improvement projects, especially with flooring, even the professionals run into hidden issues. Here are a few common DIY disasters that can wreck your entire home improvement budget. Putting in new flooring is exciting. Not only does it change the look and feel of any room, but if done right, it can really make it look like you are in a completely different house. With flooring, there are so many options to choose from. You can spend hours upon hours trying to figure out if you should go with hardwood floors or carpet or if you should try out the new laminate flooring everyone is raving about. What most DIYers don’t spend enough time on is researching their property. If you have an older home, chances are high that when you pull up your old existing flooring that you will find other flooring. Maybe you will be one of the lucky ones and discover the hardwood floors of your dreams that only need to be sanded and polished. However, you could very well be on the unlucky side of things and find asbestos tile under your old carpet. Finding old tile, rotten wood, mold, mildew, holes, and other random things can really put a dent in your overall budget. At Village Carpet, we have seen almost everything when it comes to replacing old flooring with new. Not only do our trained installers know how to put in your new floors, but they know what to do when other issues come up. Not only does working with professional installers and contractors save you time, but it can also save you money in the long run. Performing a DIY on your walls may or may not be something that you planned. However, trying to tear down a wall or replace it with a different type of wall is a lot like tearing up your floors. You never know what you are going to find. And if those walls happen to be in a bathroom or kitchen, then you should probably think twice before you send out invites to the demo day party. With walls, you can find all sorts of issues. Leaking or corroded pipes, termites, pest infestation, mold, holes in the floor, and unsupported beams are just a few things that you could find. What are you going to do if you find some of these things? What if you find out that a pipe needs to be moved or you find outdated wiring and electrical work that could be a big fire hazard? Professional contractors and installers know what to do when these sorts of things happen. DO YOU HAVE STRUCTURAL ISSUES? This is a big one. Most people don’t even think about structural issues when planning a DIY. Some go full force with their demo and knock out important walls while others just ask their woodworking friend who has built a shed if the wall they want to remove looks like a load-bearing wall. Once it’s down, they soon realize that they have made a huge mistake. 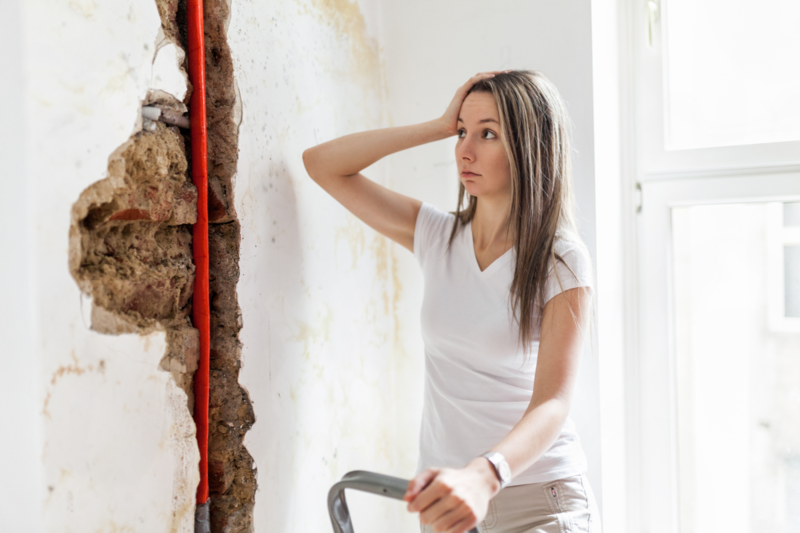 Not only does tearing down a load-bearing wall have to be fixed immediately, but it can affect the entire structural integrity of your home. And in order to save your home, you could be looking at a steep price tag. A professional could have told you that the wall was load bearing or could have given you suggestions on how to get the look you want without compromising the overall structure of your home. You can also have structural issues with your floors. They could be uneven or not properly supported. Professional floor installers can tell immediately if floors are not level and can offer solutions. 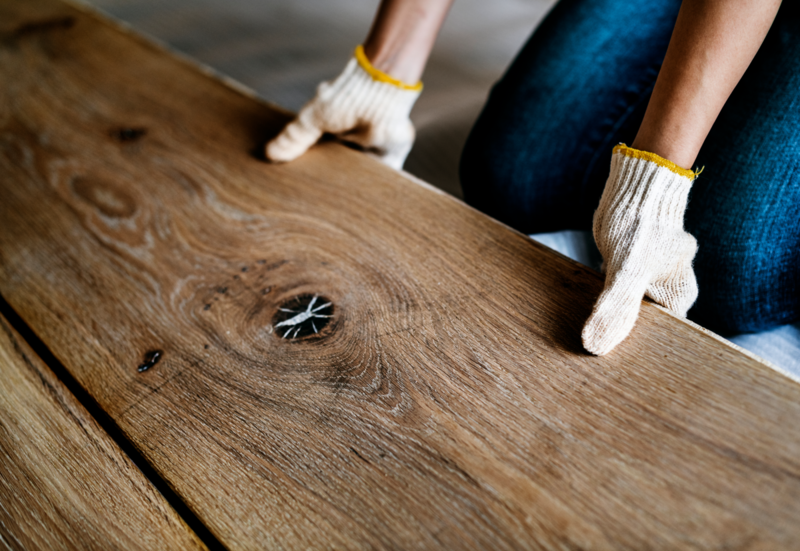 Choosing to go ahead and DIY your floors on top of uneven floors will affect the overall look of the floors once they are finished and can cause your floors to buckle or break down the road if you choose something like wood planks, vinyl, or tile. HOW ARE YOU GOING TO GET AROUND THAT CABINET OR APPLIANCE? This issue may not cost you thousands like the ones mentioned above, but it can add to your overall budget. When trying to install flooring, you have to account for cabinets, built in shelving, built in appliances, doorways, and more. Most people don’t have perfectly square rooms without any obstacles. In order to get your flooring to go down just right, you will need to measure and cut properly. And if dealing with materials such as tile, you are also going to need the proper tools. A few measurements off here and there really adds up. Professional flooring installers know how to measure the different types of flooring. And more importantly, they have the tools and experience to get through any obstacles that may come up. 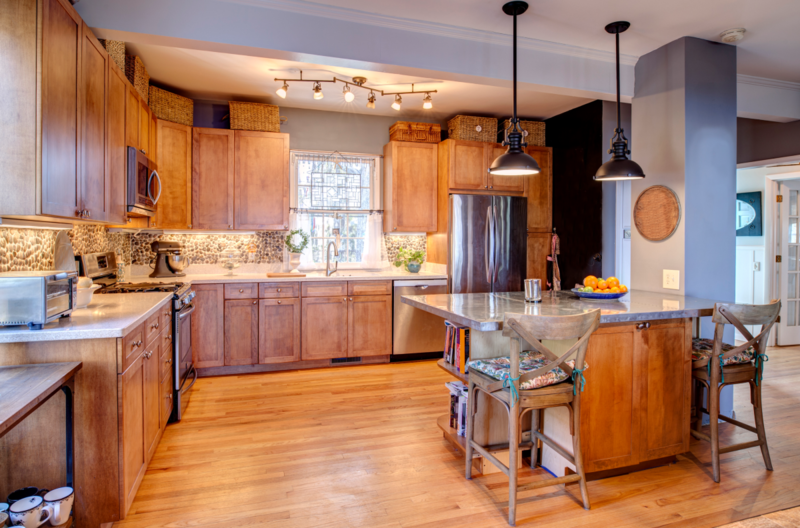 They also know how to get flooring to fit perfectly around cabinets, doorways, and built-ins. Now, we are not saying to ditch you DIY plans. We know that most people choose to go down the DIY path because they want to save money or do things within their own time limits. However, experience through the years has taught us that the majority of people who choose to take on DIY projects without consulting a professional usually end up spending more money than what they would have paid a professional. They also end up wasting more time or not even finishing up the home improvement project. At Village Carpet Shop, we have a huge selection of flooring. Have a budget that you need to stick with? No problem. We can help you find the type of flooring you really want while helping you stick to your overall remodeling plan and budget. And when it comes time to install, our professional installers can help you tackle your flooring or custom shower home renovation with ease. Remember, we take care of everything from START to FINISH. Give us a call today or click here to schedule your FREE FLOORING ESTIMATE to get started!